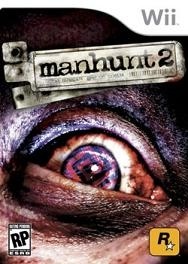 After nine months of back-and-forth decisions and appeals, Manhunt 2 has finally been cleared for sale in the U.K. Originally refused a rating by the British Board of Film Classification, a move which effectively banned it from sale, Rockstar took that decision to the Video Appeals Committee, which overturned the decision, paving the way for the game's release. The BBFC countered by appealing the VAC's decision to the High Court, however, which found flaws in the basis of the successful appeal and ordered the VAC to reconsider, meaning the game would continue to remain unavailable while that process took place. Although generally believed that would lead to a reversal of the appeal decision, the VAC announced today that the result of its reconsideration is the same as its original decision, a 4-3 vote in favor of Rockstar. According to a GamesIndustry report, the BBFC has issued a statement saying further challenges to the appeal had little realistic chance of succeeding, and therefore given the game an "18" rating. "As I have said previously, we never taken rejections lightly, and they always involved a complex balance of considerations. We twice rejected Manhunt 2, and then pursued a judicial review challenge, because we considered, after exceptionally thorough examination, that it posed a real potential harm risk," said BBFC Director David Cooke. "However, the Video Appeals Committee has again exercised its independent scrutiny. It is now clear, in light of this decision, and our legal advice, that we have no alternative but to issue an "18" certificate to the game."